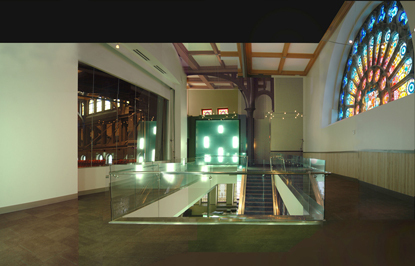 The Mezzanine and Entry are available for events and can also be used to supplement Lew Klein Hall and Chapel rentals. 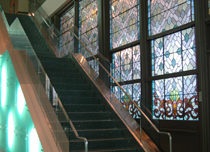 The Mezzanine offers guests stunning views of both Lew Klein Hall and the building's signature Rose Window. The majestic Entry opens onto Broad Street.